There are currently 173 people online. Xi3 announced it's taking pre-orders for the Piston Console, a new compact living-room PC designed to run Valve's Steam and Steam's Big Picture mode. Pricing starts at $899 for a system with an AMD A10-4600M 3.2GHz embedded quad-core APU, Radeon HD 7660G integrated graphics, 8GB DDR3 memory, and a 128GB SSD. Upgrades are available to 256GB and 512GB SSDs for an additional $340 and $750, respectively. Shipments will start by the end of the year. Xi3 Corporation today announced it will begin accepting pre-orders for its PISTON™ Console (PC) at the Gaming Expo held today, tomorrow and Sunday during the South by Southwest (SXSW) festival in Austin, Texas. Xi3 will showcase “live” gameplay on alpha versions of its PISTON Console at the 2013 SXSW Gaming Expo in Xi3’s booth (#400). Additionally, Xi3 is slated to deliver a “live” on-stage presentation at the Gaming Expo on Saturday, March 9 beginning at 7 p.m. The grapefruit-sized Xi3 PISTON Console was announced at the 2013 International CES trade show in January as a “development stage system optimized for computer gameplay on large high-definition television monitors.” This January announcement generated massive interest in the worldwide computer/video game industry, and Xi3 garnered several notable awards and honors for its PISTON efforts, even as a development stage product. The PISTON Console is derived from the forthcoming X7A Modular™ Computer, Xi3’s first power user computer. 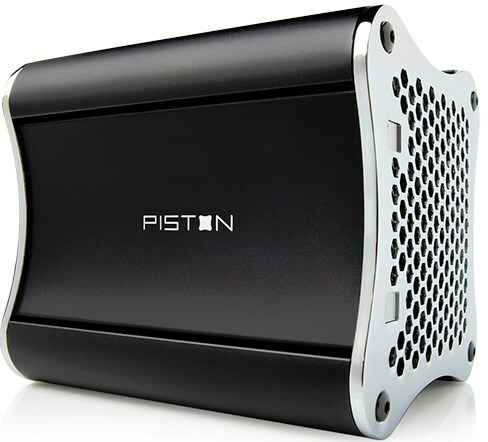 Xi3 will reveal additional product details about the PISTON Console and its plans for formally entering the game marketplace at the 2013 SXSW Gaming Expo.